Senior officials from the US State Department visit St. George’s University to speak with student leaders about community outreach and women’s empowerment. Discussions were led by US Ambassador Linda Taglialatela, Principal Deputy Assistant Secretary Julie Chung, Caribbean Affairs Director Katherine Dueholm, Deputy Political Economic Counselor Rachel Meyers, and Principal Officer Stephen Frahm. 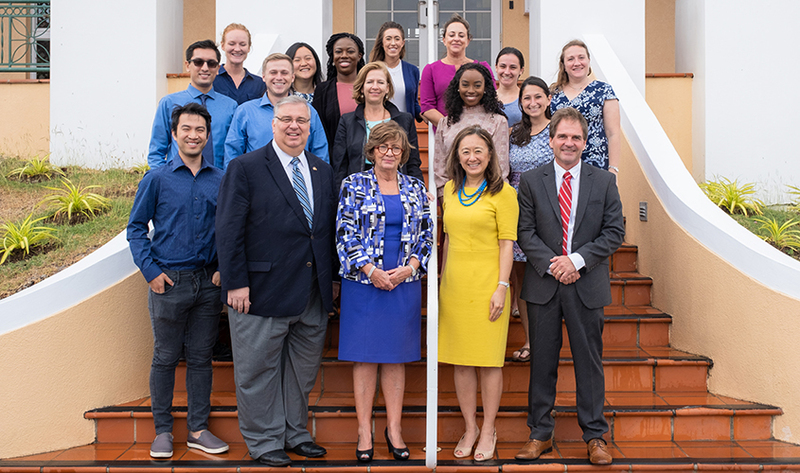 Community outreach and women’s empowerment were at the forefront as St. George’s University’s student organization leaders welcomed senior officials from the United States to campus on March 8. Among the distinguished guests were Linda Taglialatela, US Ambassador to Barbados, the Eastern Caribbean and the OECS, and Julie Chung, Principal Deputy Assistant Secretary (PDAS) of the Bureau of Western Hemisphere Affairs, and other senior US State Department officials. Representatives from groups such as the International Federation of Medical Students’ Associations, the Student American Veterinary Medical Association, and Women in Medicine shared their many contributions to the island, from the well-attended One Health One Medicine health fairs to a 5K road race that supports breast cancer awareness. Since the visit coincided with International Women’s Day, students took the opportunity to seek advice on balancing gender inequality in the workplace, and in the State Department in particular. Both Ambassador Taglialatela and PDAS Chung shared some of their own experiences as women in the workplace dealing with gender inequality. Each encouraged students to be prepared for any situation or discussion, and when in a position of power, to assist other women in making the climb upward. 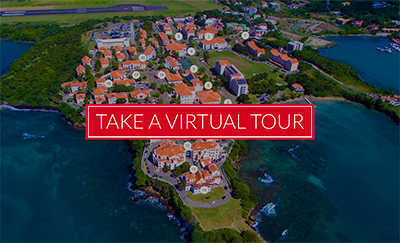 The visit ended with a tour of the True Blue campus and PDAS Chung expressing the hope that this visit would reaffirm the United States’ commitment to forging stronger bonds with Grenada and other Eastern Caribbean countries.